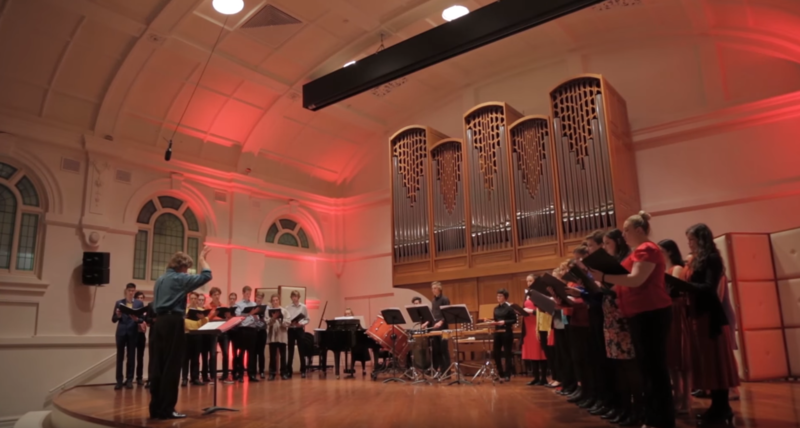 Co-presented by the Melbourne Conservatorium’s Early and New Music Studios, Shock of the Old publicly launched the MCM’s new ‘early percussion’ replica instrument collection on 17 September 2015. The program featured the world premiere of a work by Melbourne composer Kate Tempanny and the MCM’s Head of Percussion, Peter Neville, based on the Indian brass band tradition and Indian musical forms. Old instruments performed new works and new instruments performed old works for voice, brass and percussion, including pieces by Schutz. The New Music Studio unites composition and performance students and staff to provide an umbrella for a broad range of contemporary music activities and events that are held each semester within the Faculty. The Early Music Studio houses a houses a vast collection of early music and instruments including keyboards, strings, wind and brass.